I have mixed feelings about grocery shopping, sometimes I love it and sometimes I hate it. 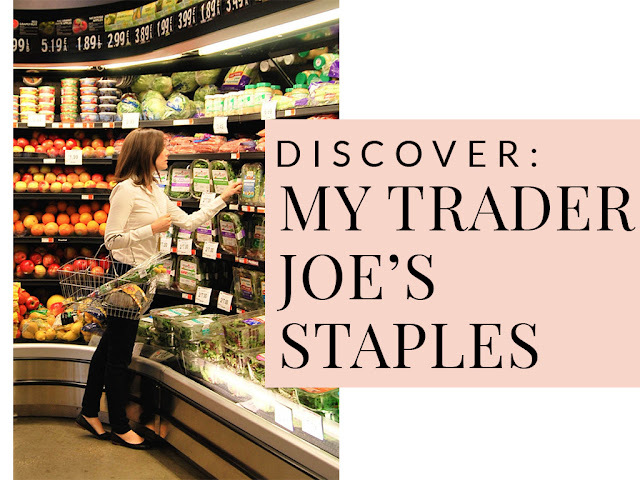 But one thing I truly love is having Trader Joe's less than 5 minutes away from the house. It is dangerously close. I go there at least once a week, as I'm always craving something that I run out of too quickly. 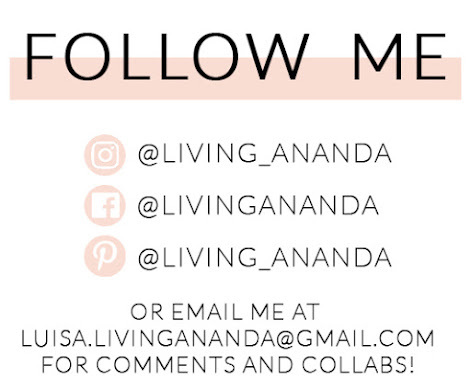 I wanted to share with you my absolute favorite items from the store, and I'm curious to see what are your favorites too. please note that not all of them are healthy items necessarily but I do enjoy eating! 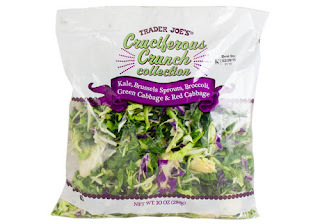 I found this thanks to Jess Keys, she was sharing it in one of her stories and since I was looking for a less boring option against lettuce or spinach, this one seemed interesting enough. It has absolutely added some extra greens to almost every meal I prepare! And I don't remember if Jess prepared it like this or if it was a happy accident of mine, but I saute it in a little bit of coconut oil and add either garlic salt, or check this out, soy sauce and Sriracha. Just a couple minutes on the pan and this turns into a delicious side or topping for basically every dish I prepare. 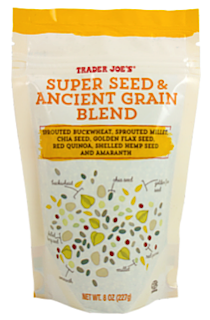 SUPER SEED & ANCIENT GRAIN BLEND. This is my Louisiana, I put this .... on everything. Smoothies, fruit and yogurt snack, any kind of toast or bowl. It is a mix of buckweed, chia seed, flaxseed, quinoa, hemp seed, and amaranth. I can't really taste it but I do like the crunchiness it gives to any dish I prepare. I like to add this one to my breakfast hash, which we prepare basically every weekend. 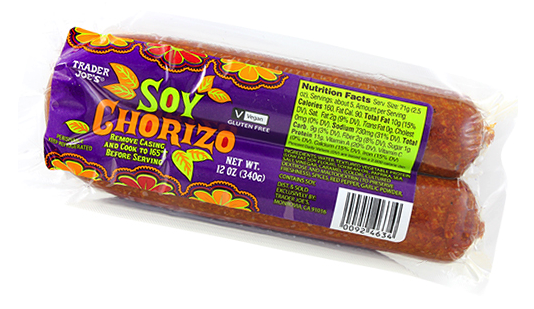 It is just the right amount of spice and L can't even tell it is not real meat, I call that a double win. Why oh why have I just discovered this one? I shared a picture a few months ago on Instagram where I used this to make some noodles and boy it was delicious! I'm not a fan of ginger anything but it complements this broth really well. I cooked some veggies directly on the broth and then added the noodles, some soy sauce and Sriracha and ta-dah! 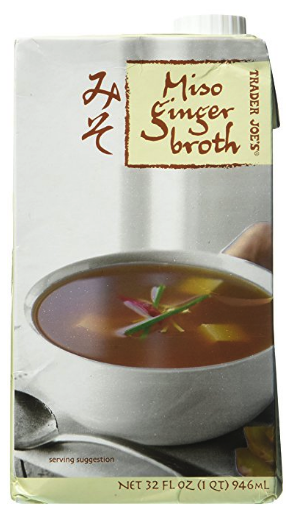 This is a great meal for cold days. 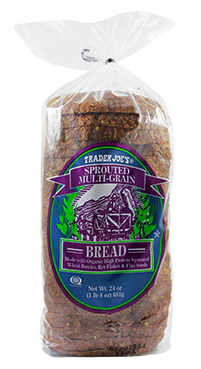 This bread is a cheaper version of the Ezekiel bread, and I actually like the TJ's taste better. I love the smell when I'm toasting it and it is actually less dense than the Ezekiel bread. 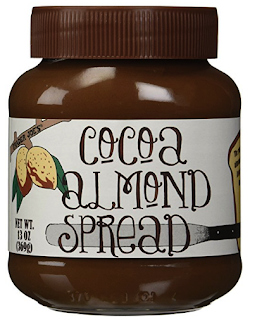 I use it for my avocado toasts, sandwiches, open-face tuna melts, pb+js. You also have to keep it in the fridge. They have totally changed my breakfast game. When I don't feel like having a smoothie, I usually have a scrambled egg with some Crousiferous Crunch Collection and a crispbread as a side. the first time I tried it wasn't really my favorite, but now I enjoy it so much. I haven't tried it any other way but I feel like it would be great with hummus, avocado, baba ganoush or tuna salad. 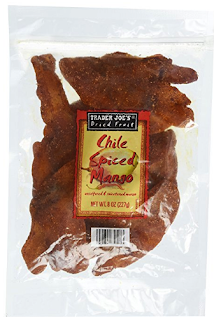 In Mexico it is very common to find dried fruit with chili powder, and, you guessed right, I loved it. So when I found these mangos I almost cried, and the price is not bad at all. 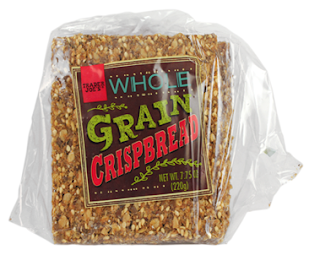 I later found they sometimes have them at the bulk section in some supermarkets, but I prefer these ones. One time one of the cashiers mentioned that he got obsessed with them after spending a few months surfing in Mexico (as all TJ cashiers do, I assume), so you must now that I'm right about these. My mouth is watering just thinking about these. They sell them frozen and you actually have to leave them out for a few hours before popping them in the oven. I usually do it the night before, as we usually have them for breakfast. 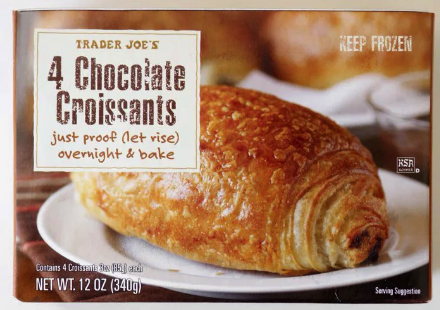 The box comes with 4 Fig Newton looking things, but by the morning the actually rise a lot. They are so flaky and buttery, and I like to let them rest for maybe 20 minutes, as the chocolate taste better when it is not as hot, IMO. I mean, this is an indulgence that lasts a long time, as we don't eat it every day, sometimes I'm carving something sweet and I spread a toast with this deliciousness and top it off with the GRAINS. I also eat it with banana slices and it makes for a great snack. This are not a healthy food whatsoever but I am an absolute groupie for potato chips. I won't ever stop eating them I don't think, but that is why I exercise regularly, so that I don't feel the guilt. 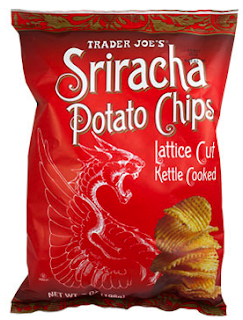 I don't get the sriracha taste to be honest, but I love that subtle spicy kick that I get when eating them. I do like to eat spicy things, so you might actually find this to be really spicy so proceed with caution. Lola is an absolute fan of these treats! 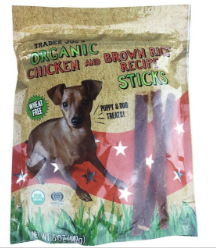 She usually is not very excited for her treat after doing her doggy dutty, but after I bought her these, she asks for them! they come in 4-5in sticks but I usually cut each in three and give her one at a time. They have other flavors, but the ones on my store are not organic. WHAT ARE YOUR FAVORITE TRADER JOE'S PRODUCTS?